Later in the day I will take part in a panel discussion on the “Virtues and Vagaries of Internet Publishing” along with photographer Amy Stein, Andy Adams, editor of Flakphoto, and Kyla MacFarlane, assistant curator of exhibitions at Monash University, Melbourne. Kyla is responsible for publishing the online publication Flash. Before that begins I manage to pay a visit to the exhibitions, collectively titled: Growing Pains, on display in the Moores Gallery of contemporary art in downtown Fremantle. 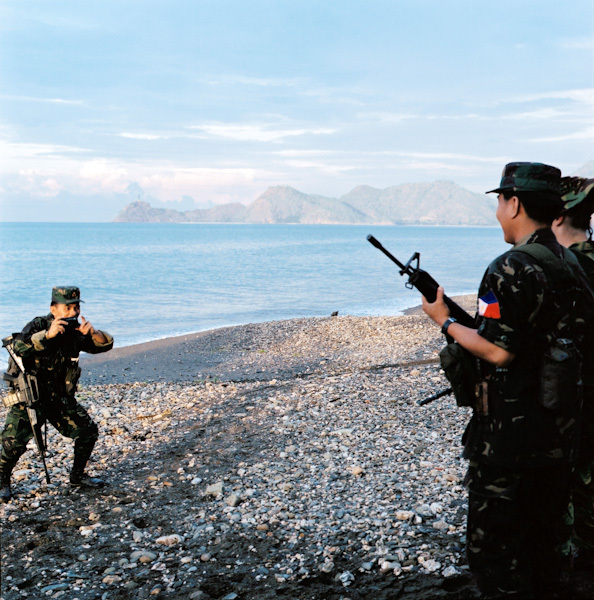 The first show is a group exhibition featuring twelve photographers with stories from East Timor which charts, the country’s fight for independence and the ensuing challenges which have shaped the nascent nation’s first decade. 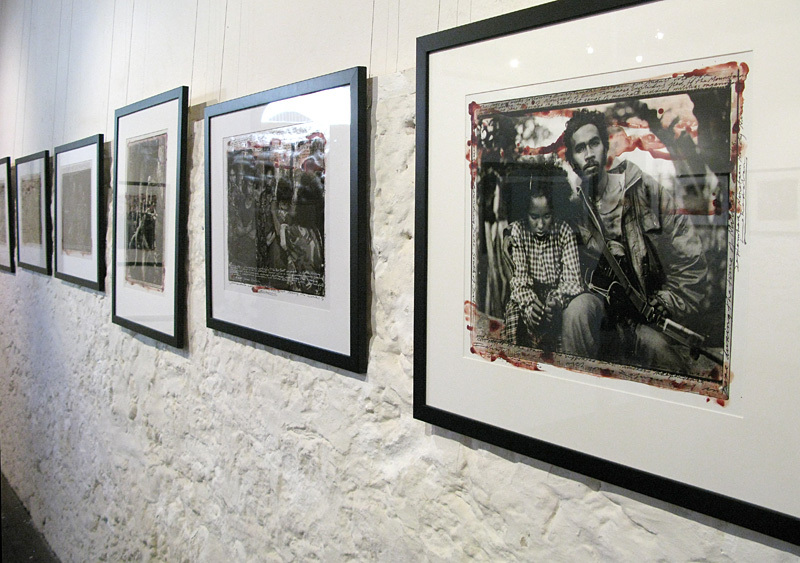 Nowhere is this better shown than in Philip Blenkinsop’s photographs of the East Timor freedom fighters (above) from 1999. Blenkinsop’s images sit, quite rightly, in a room of their own to the side of the other ten participating photographers. 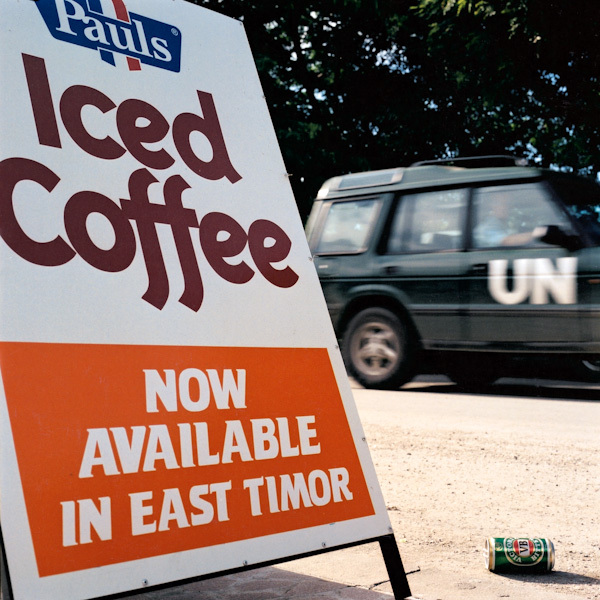 The exhibition continues next door with more traditional coverage of events taken from the ensuing history of East Timor’s first years. This is a more news focused collection of stories and feature coverages, sometimes depicting a single event, at other times what looks like a week’s work for a newspaper feature. Most notable amongst the eleven other contributing photographers are the short project displays by two Timorese photographers: Zesopol Carlito Caminha, who turns his attention to the refugee camps and the everyday experiences of East Timor’s internally displaced communities; and Bernadino Soares (video left), whose bold, abstract series entiled Nightmare recreates the psychological tension and damage of incarceration. 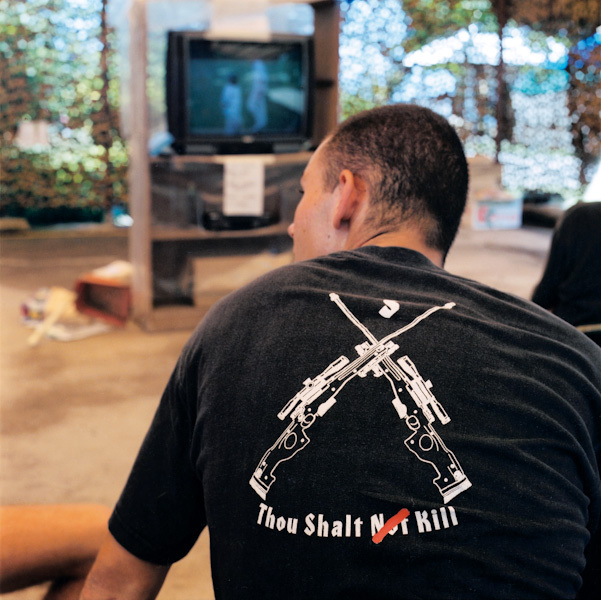 I also find Matthew Sleeth’s part of the exhibition, taken from his Tour of Duty project (below- click to enlarge), to be refreshing. 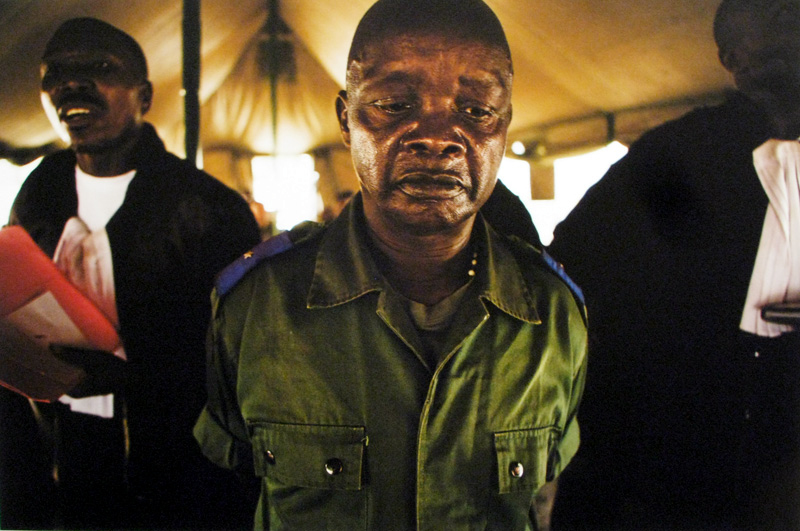 And in the context of many of the other photographers who provide newspaper single-story feature work, a uniquely conceived way to cover the subject in some depth, focusing as he does, on the Australian armed forces, the media and other incongruous byproducts of the international peacekeeping mission. 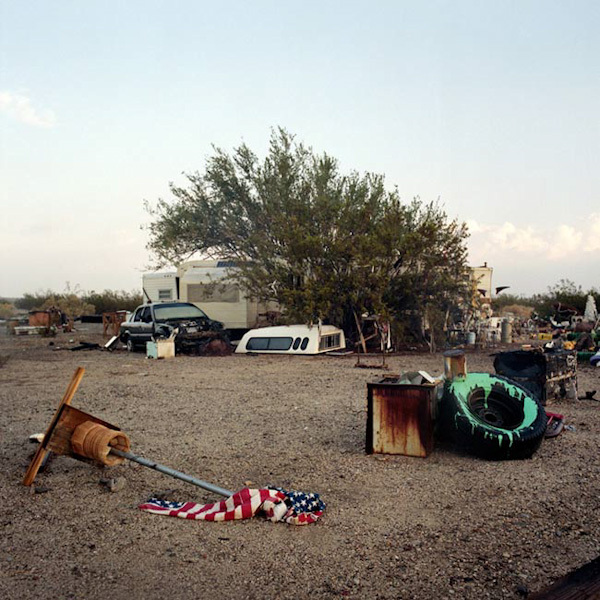 Upstairs in the Moores building I take in the three further shows loosely continuing the group theme of Growing Pains seen elsewhere in the building: Claire Martin’s Slab City, Jean Chung’s Tears in the Congo and Viviane Dalles’ A Journey of Exile. I am a fan of Claire’s photography from her earlier essay on the East Side residents of Vancouver and am happy to see that this project set in a similar counter culture community does not lose any of its harsh grit despite the soft colour tones of the prints. 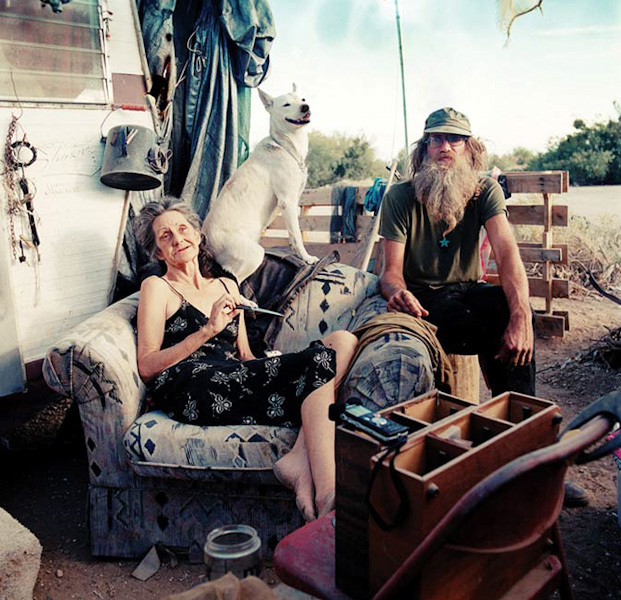 It’s a testament to knowing her subjects well, earned no doubt from spending a great deal of time living with them, that her portrayal offers a no holds barred, warts and all, celebration of the individual spirit of the people who have opted to carve out a life on their own terms in Slab City. 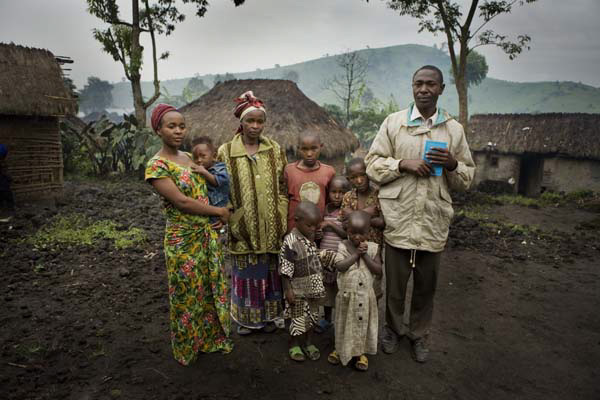 Jean Chung’s study of sexual and gender based violence in the Congo tells a story of unimaginable pain through a series of images that also exhibit a quiet defiance and resilience. 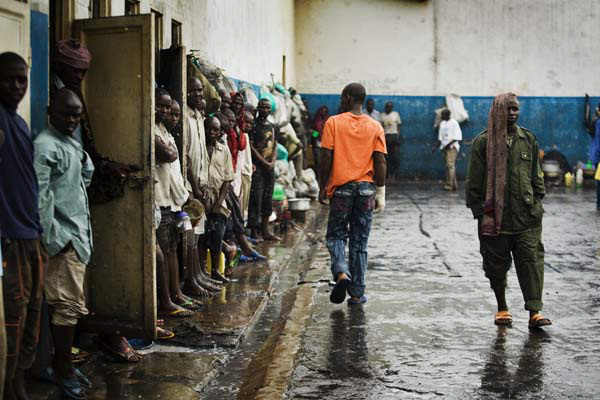 Without falling into the perennial Congo clichés of child soldiers and graphic brutality she has created a very dark set of images that manage to convey this difficult subject to the viewer in an accessible but continually haunting way. Next door Viviane Dalles’ A Journey of Exile addresses displacement and upheaval alongside hope and irreversible change in a more geographical way. 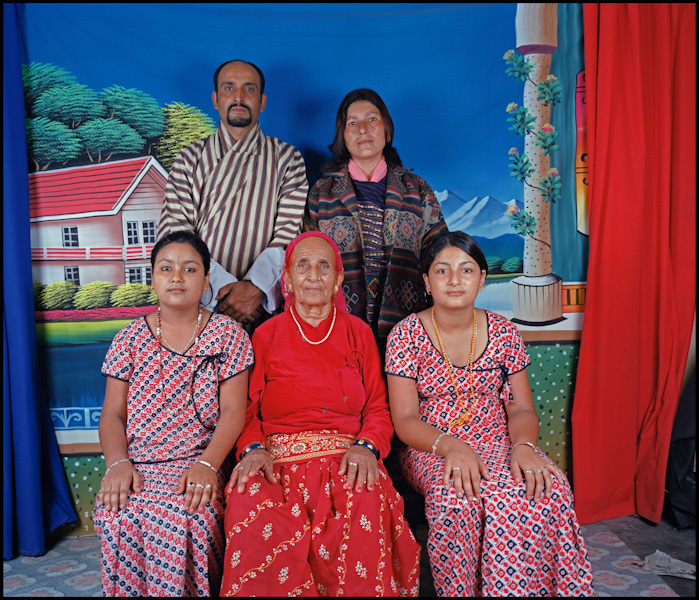 Here Dalles follows a single family exiled from Bhutan through their travels and eventual resettlement in the United States. 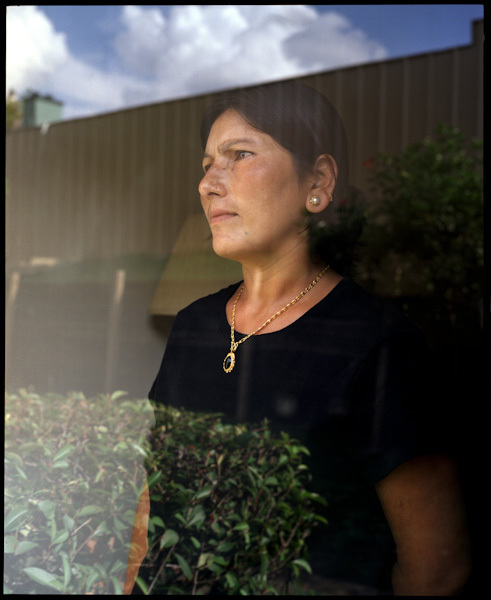 Diptychs and triptychs span ideas of land, ancestry and the individual and the sense of both physical and mental distance is brought home effectively and sensitively in her series of back home – new home portraits. The three shows upstairs in the Moores Building are thoughtfully curated by Festival Manager Laura Beilby. Together her choice of photographers and subject matter goes a long way to set the tone of the festival for me in the days to come: a wonderful selection of exciting photographers (mostly women but some notable men too) who bring passion, intimacy and great expertise to photography. 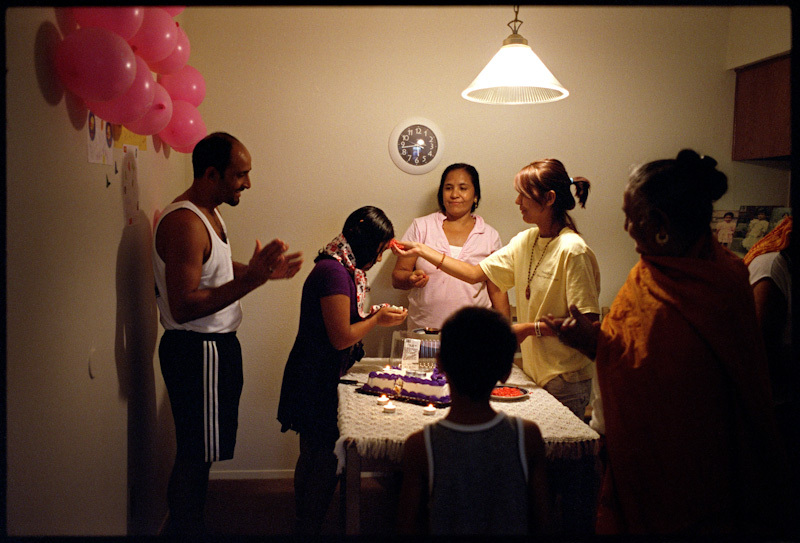 Through the Moores Building exhibitions, FotoFreo is proudly telling photographers’ stories and enshrining lofty values of documentary photography and photojournalism by celebrating the accessibility of the message and the diversity of photographers’ methods. 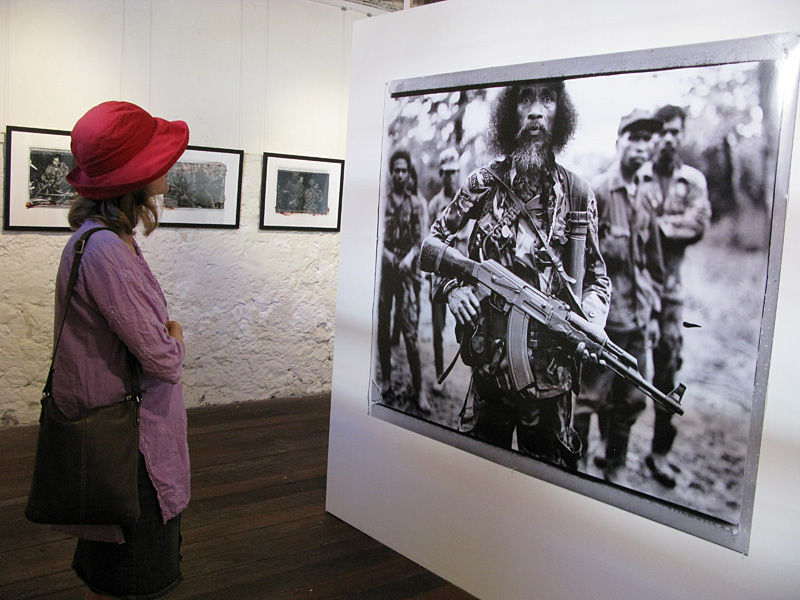 Keywords: Bernardino Soares, Claire Martin, East Timor, foto8, FotoFreo 2010, Jean Chung, Matthew Sleeth, Philip Blenkinsop, photographers, photojournalism, Vivianes Dalles.